Join us to celebrate the seasons with four uniquely different and special pop-up suppers at Spike Island. 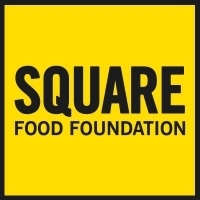 For our Summer edition, Square Food Foundation is delighted to welcome Fabrizia Lanza from Case Vecchie, the acclaimed cookery school near Palermo, Sicily. Fabrizia will be talking about the food of Sicily and cooking a typically Sicilian supper. Included in the price of your ticket will be a cookery demo by Fabrizia and a glass of wine paired with one of your course. There will be vegetarian and vegan options for each supper - please let us know of any dietary requirements via the booking form.